Habitus is a standalone build flow tool for Docker. It is a command line tool that builds Docker images based on their Dockerfile and a build.yml. Just run the install script on macOS or Linux! version: 2016-03-14 # version of the build schema. Build files can be made up of multiple steps. Each step is independent of the other ones and downstream steps can use upstream ones as source (in FROM command). In the example above, there are three steps: builder, deployment and uploader. All steps work out of the same working directory. dockerfile states which Dockerfile is used to build this step. Artifacts are files to be copied outside of a build image in a step. This can be used when a step is build of a compiled language like Go or Java where the image requires build dependencies. The next step can then use the build step's artifacts in a runtime dependency only image. Each artefact has two parts: source and destination. Source is the path from within the image and destination where the file will be copied to on the "build server". If destination is missing, the current folder will be used. Full path and file permissions of the source will be preserved during copy. So a file that comes from /app/build/result/abc of the image will go to ./app/build/result/abc of the build server if no destination is set. Artifacts are copied from the container and can be used with ADD or COPY commands in downstream steps. Habitus copies artefact file permissions as well. First of all, you will need to copy your private SSH key to your build context, moving it out of your home directory and leaving it exposed to accidental commits to your Git repo. Secondly you will end up with the key in the image (unless you use the cleanup step with Habitus, see below). Which will be in the image forever. Third issue is that you will end up sharing SSH keys even if you decided to take the risk and add SSH keys to the image but squash them later. Habitus has an internal web server. This webserver only serves to requests comming from inside of the building containers. Building containers can ask for "secrets" during build with a simple wget or curl. The secret is delivered to the build process which can be used and removed in the same layer leaving no trace in the image. RUN git config --global url. "git@github.com:".insteadOf "https://github.com/"
This is a snippet from a sample Dockerfile that uses the secrets feature of Habitus. Now we can use Habitus and pull our private SSH key as a secret. It will be stored in ~/.ssh/id_rsa and the next commands will use it (ssh -T git@github.com is a test that it worked) and the last step (very important) is removing it from the image with no traces and no need to use cleanup. IMPORTANT: Secrets are supported in Habitus 0.4 onward and only with build.yml schema versions on or more recent than 2016-03-14. Make sure your are using the --secrets=true option to enable the secret service. Type: Currently we support file and env as type. Which means Habitus supports secrets stored in a file or expose an environment variable from the host. Check here for an example using file secrets. Check here for an example using environment variable secrets. NOTE: The value of the exposed_secret_env in this example is mapped to the host machine as HABITUS_SECRET_KEY instead of SECRET_KEY due to security reasons. Finding the correct IP address to server Habitus API (and secrets) on can be tricky. You don't want to bind it to 0.0.0.0 since it will make Habitus and your secrets available to your entire local network (and possibly the internet if you're running a tunnel) during the build time. On a Linux machine where Docker can run natively you can bind Habitus to 127.0.0.1. However on a Mac (OSX) Docker runs inside of a VM (VirtualBox in most cases thorugh Boot2Docker). This means you need to find the VM address of your Mac and use that to bind Habitus to. By default, Boot2Docker (and Docker Machine) use 192.168.99.1 which is what Habitus uses by default. You can also change the Habitus API port from the default 8080 using the --port parameter. This runs the commands in the provided order on the image and then as a last step squashes the image to remove anything that's been removed. This is particularly useful when it comes to private information like ssh private keys that need to be on the image during the build (to pull git repos for example) but can't be published as part of the built image. Habitus allows dovetailing (sequencing) of images from different steps. This means a step can use the image built by the previous step as the source in its Dockerfile FROM command. This is done automatically if FROM command refers to an image name used by a previous step. Habitus automatically parses the FROM image name and replaces it with the correct name when it is used in multi-tenanted setup. This enables multiple builds of the same build file to run in parallel with different session UIDs (see below). Please note if you are using step A's result in step B's FROM statement, you need to make sure A is listed under depends_on attribute of B. Otherwise both A and B will be built in parallel. This feature allows you to enhance docker multi-stage builds with Habitus. Habitus allows reusing the same Dockerfile from different steps while targeting each step to a specific build stage. This means a step can use the image built by the previous step as the source in its Dockerfile FROM command, similarly to we have discussed in ` encing` above, but with different pros and cons. One of pros is faster builds due to faster assets transfer between steps, because now assets transfer happens directly between build contexts, rather than routed via the node habitus is running. An another one is that Docker users used to multi-stage builds can easily adapt to Habitus for its advanced features, without rewriting their multi-stage-ready Dockerfiles. For more inforation, see this issue. To use this feature, specify < href="https://github.com/mumoshu/habitus/blob/42f4ec5997f771863afd5120f36772d1a92f9c9d/examples/multistage/build.yml">a target per step in your build.yml. The specified target should exist within your Dockerfile referenced in the step. In other words, there must be a FROM $your_base_image AS $target_ie_build_stage_name in the Dockerfile. Steps can depend on each other. This can be specified by the depends_on attribute. Steps can depend on one or more of the other steps. This will determine the build order for steps. Independent steps are built in parallel and according to the build order defined by dependencies. Habitus allows you to run an arbitary command inside of a built container. This can be useful in many cases like uploading the build artifacts to webserver, resetting your exception handling service after each build or starting your release process. command attribute is optional. If present, the image is built and a container is started based on it to run the command. command runs after the build, cleanup and copying of the artifacts are done.  cloud66/uploader is a simple Docker image that has S3CMD installed on it. The Dockerfile here is a simple one that starts from cloud66/uploader and adds one of the build artifacts to the image so it can be uploaded to S3. f: Path to the build file. If not specified, it will default to build.yml in the work directory. d: Path to work directory. This is the path where Dockerfiles should exist for each step and the build happens. Defaults to the current directory. env: Environment variables used in the build process. If not specified Habitus inherits all environment variables of the parent process. force-rm: Forcefully remove intermediate images. keep-all: Overrides the keep flag for all steps so you can inspect and debug the created images of each step without changing the build file. no-cache: Don't use docker build caching. rm: Remove intermediate built images. suppress: Suppress docker build output. Habitus supports multi-tenancy of builds by using a uid parameter. All builds and images will be tagged with the uid for this unless a step name explicitly has a tag. In that case the tag is concatenated with the -uid.